Whenever I travel in Australia I am looking for a central location for a shopping destination, tempting me with prestigious luxury brands and high-end fashion boutiques. 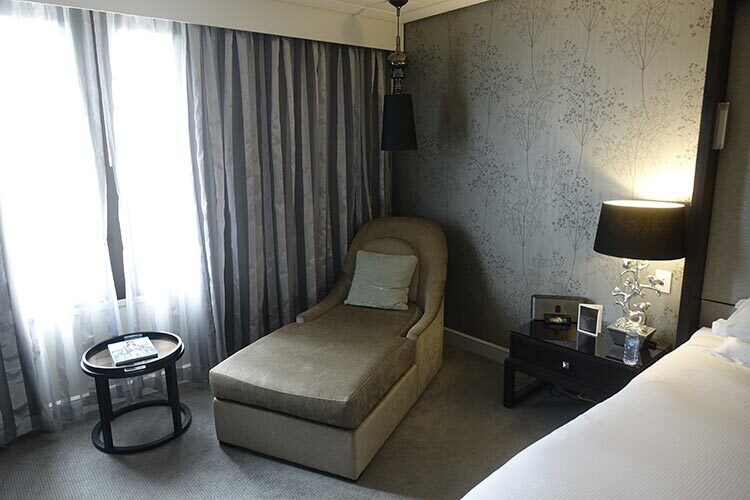 Located directly above Brisbane Central train station right in the heart of Brisbane is the 5 star luxury hotel Sofitel. The access to bars, local and international restaurants and boutiques is brilliant. When I needed a rest and a break from sightseeing here, it was perfect to head back and visit the outdoor swimming pool and jacuzzi. 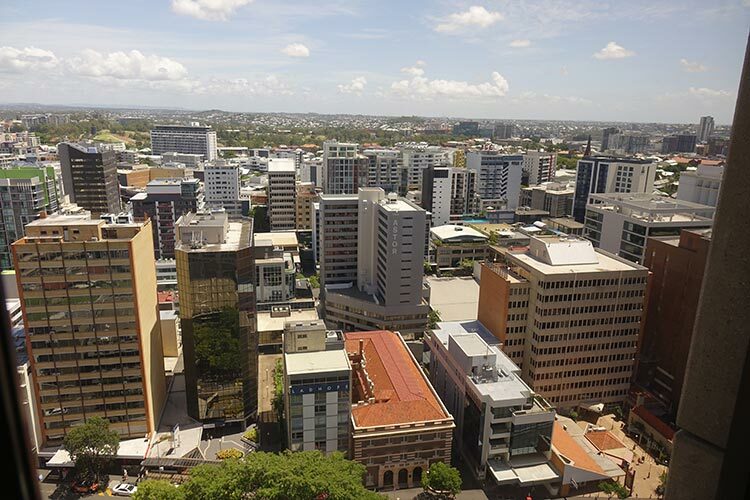 Brisbane is the perfect city and starting point, to explore what the state of Queensland has to offer. This state is my favorite for the sun, swimming, surfing and soaking up the spectacular beaches Queensland has to offer. Brisbane has the glitzy Gold Coast to its south and the Sunshine Coast with trendy Noosa to its north. 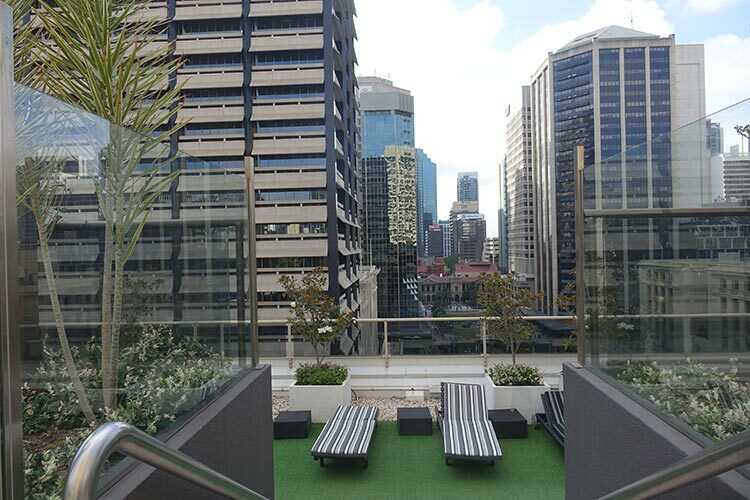 The Sofitel location on top of Central train station makes exploring these areas easier and it also gives you direct access to Brisbane International Airport. 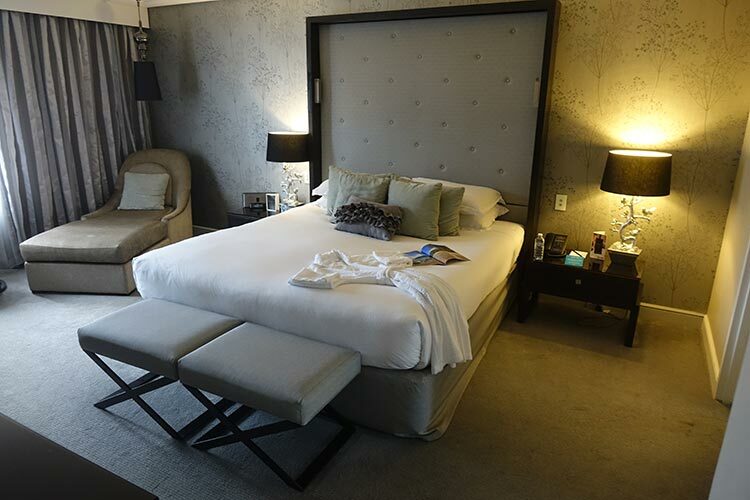 The Sofitel Brisbane’s many attractions include 433 elegant rooms, a fitness centre, heated pool and spa, plus 4 delicious restaurants and bars. After staying at the Gold Coast for a couple of days, it was very accomodating to be able to drive straight up to reception with all my luggage. My stay came with club access, which included complimentary parking and fast checking in. Interiors move pretty fast these days. 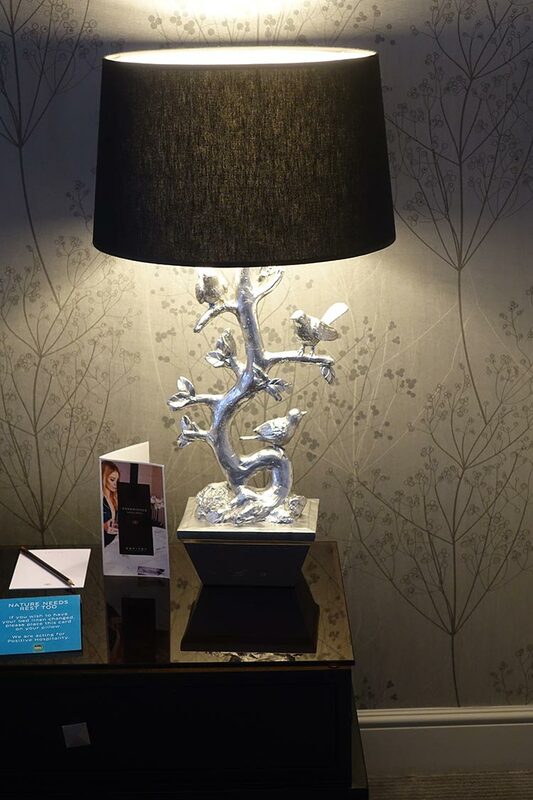 The Sofitel Brisbane reception area is a fusion of the city of Paris with the Eiffel tower ever present, and Australia by exhibiting Australian art. 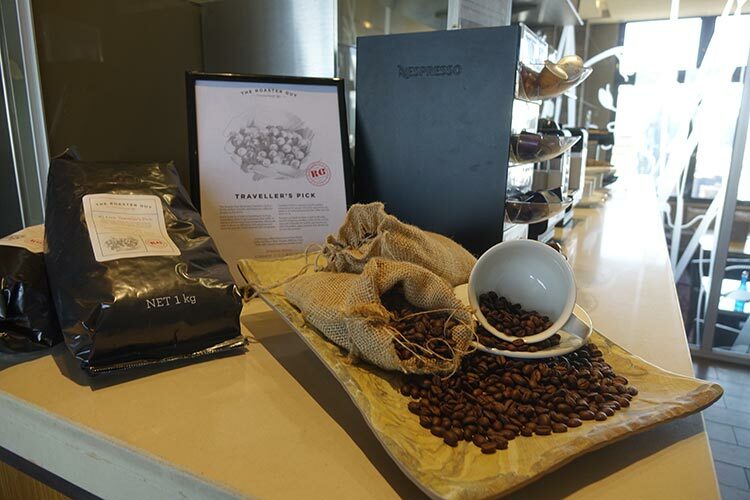 It has a large and vast dining area that caters both for international guests as well as business clients. I have been travelling for three months so it was wonderful to have such a large space with a city view. Soaking up Brisbane is about being able to see the action and feel the city vibe. 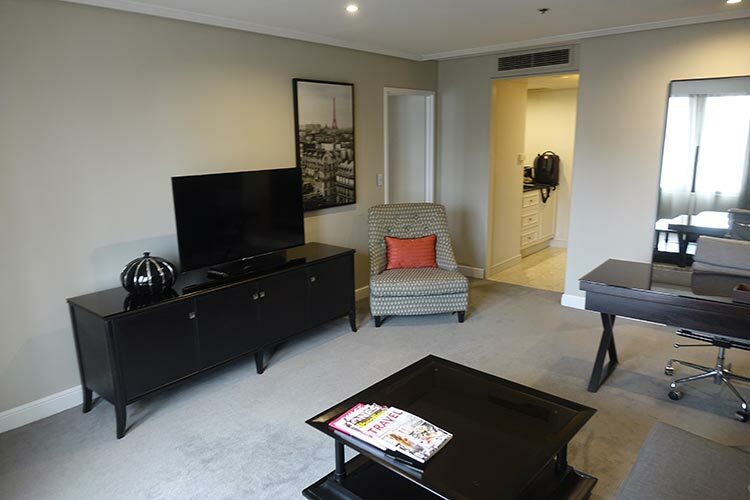 This suite offered that option, overlooking Anzac square and in the far distance the historical post office, was a kind reminder that I was in Australia. The latest interior design trends are adventurous yet grounded with earthiness and tradition. Finding the balance of the 24/7 work cycle and the mental load we are carrying via our smartphones. 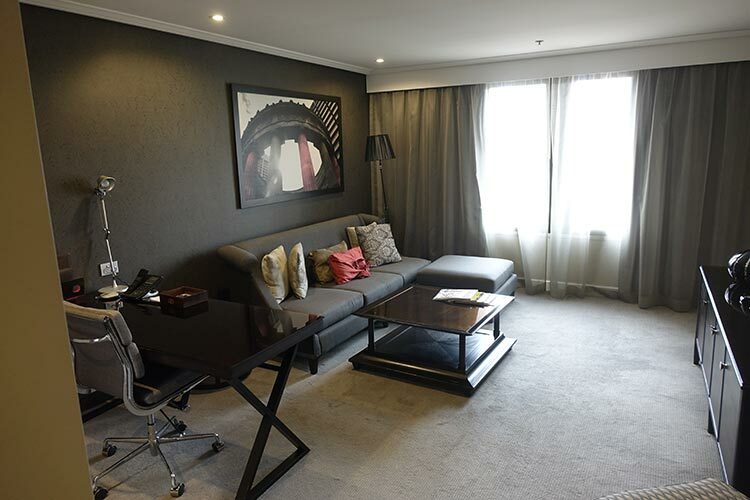 The Junior Suite offered two rooms, a bedroom and living room with a with a dedicated desk and large lounge. This space was perfect to entertain as well as have a coffee or tea whilst working. The suite had a very dark French inspired decor, matt surfaces lives on, for 2019. Sharp lines are still cool but there were plenty of curves and arches regarding the table and oversized lounge. I was able to close the door switch off and soak up a calming respite. With this suite, there’s an overwhelming need to create calming, distraction-free zones where I can pare back, digitally detox and mono-task. The king size bed with fluffy pillows and cosy sheets was why I slept so well. Also very welcoming was the velvet lounge chair, in where I had two options either watch, TV or overlook the view of Brisbane. 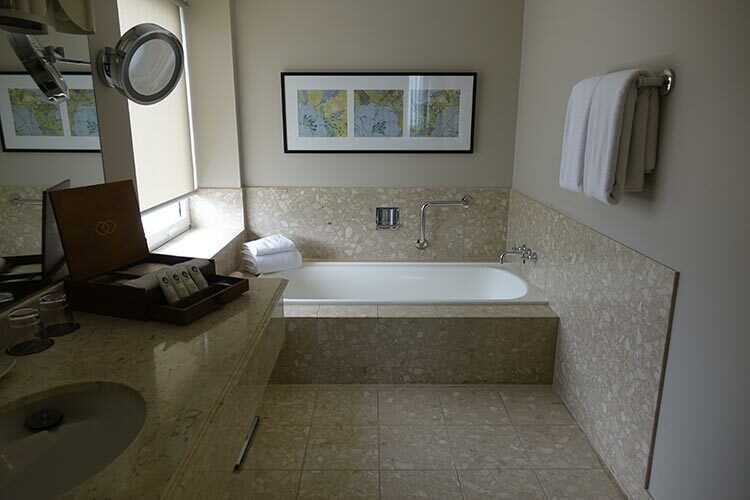 More of a non-trend but always in fashion is a marble bathroom. 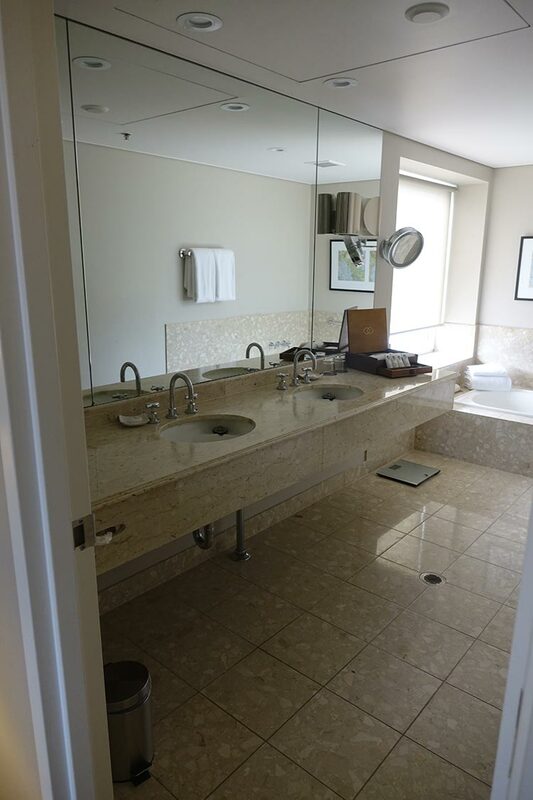 The massive bathroom with a double sink and a large bath, was the perfect way to soak up and reflect on what 2019, will bring. Where though is the line between trend and cliche? 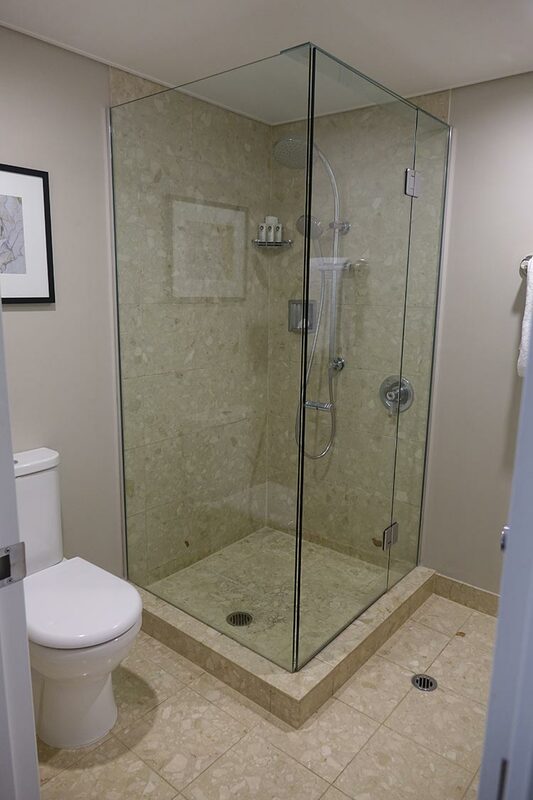 For me the cliche of having a separate shower and toilet room is always popular. The super large and fluffy towels are a kind reminder of what luxury hotels always pride themselves in. 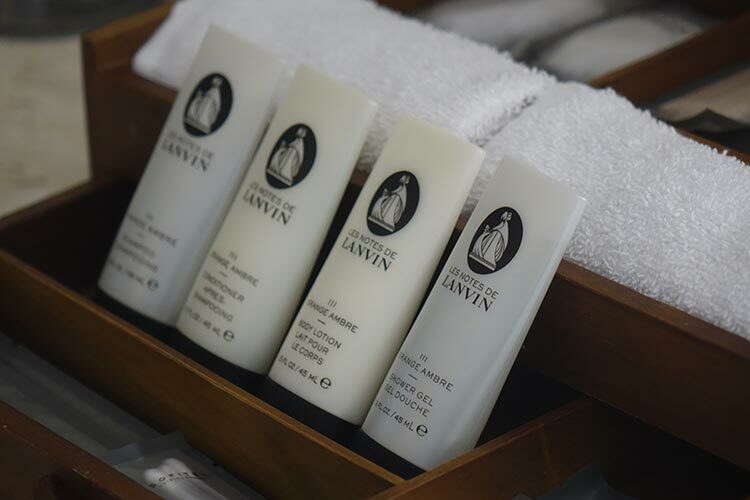 The attention to detail regarding the French bathroom amenities using the brand Lavin, was soothing on my hair as well as my skin. It looked very chic and I was able to have a touch of France in my bathroom. An excellent space regarding a bathroom suite. 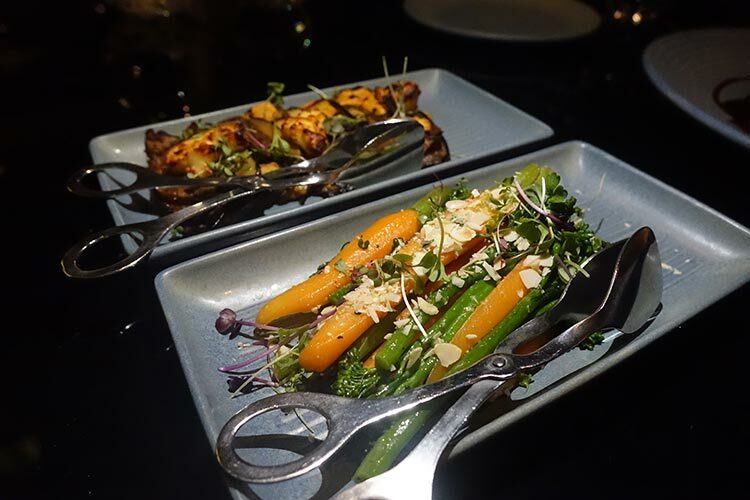 It doesn’t take long to savour the fabulous tastes at the elegant Prive249 restaurant at The Sofitel Brisbane Central. In a city where it hard to find a bad meal, there are few restaurants that manage to shock and awe. 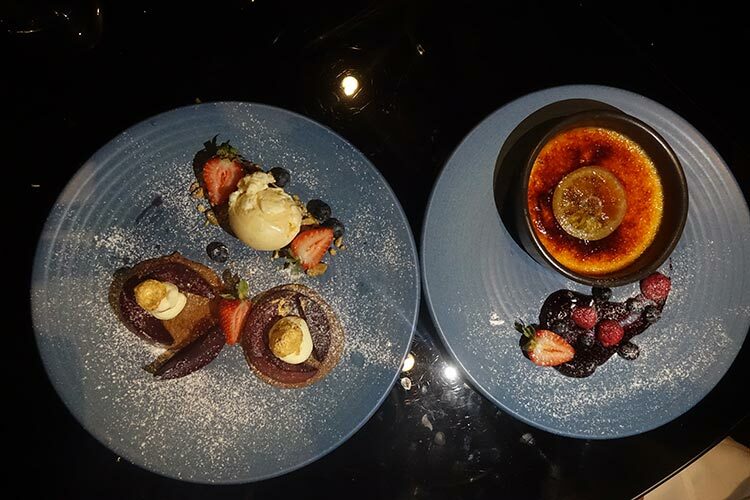 Prive249 is an intimate restaurant with stunning views of the Brisbane Central clock tower and the historic Anzac Square. 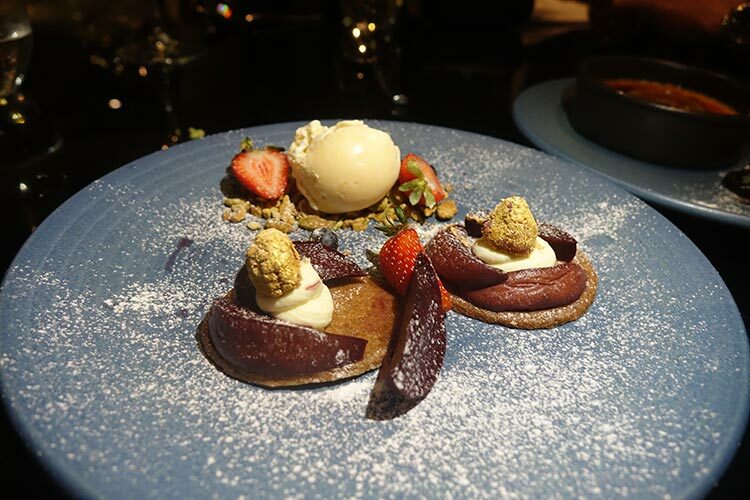 Prive247 features a menu created by Executive Chef Patrice Falantin. 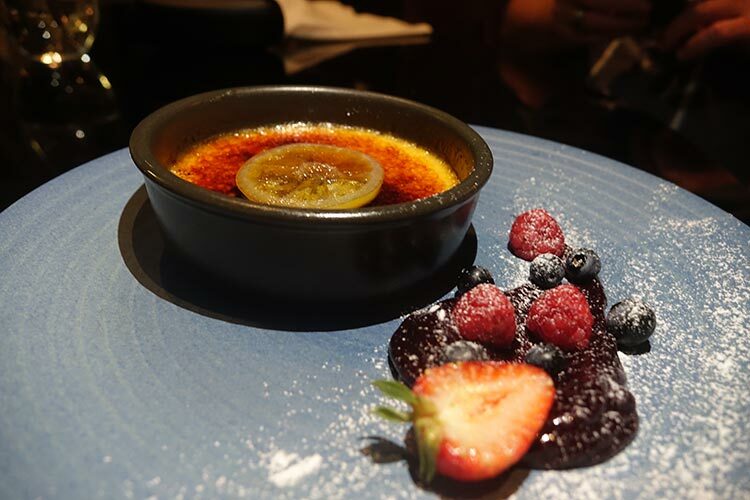 It showcases Sofitel’s French heritage whilst capturing Brisbane’s unique flavour within a seasonal a la carte menu. 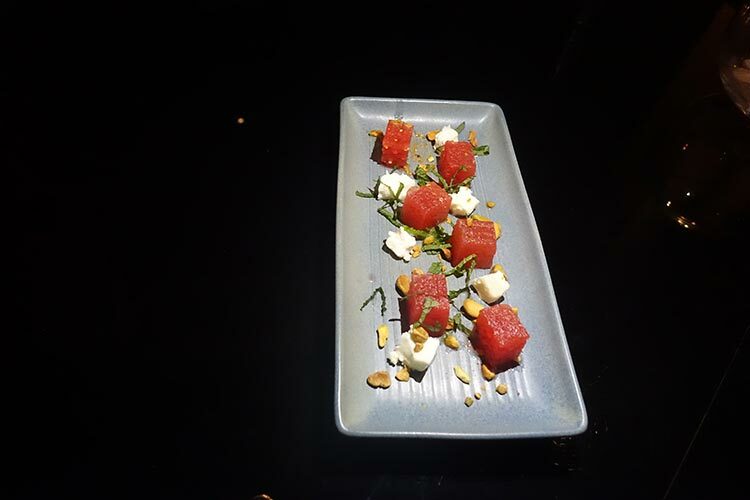 My tastebuds were tickled by the chilled pressed watermelon, feta crumbs and fresh mint, which was a delightful dainty mouthful of piquant flavours. 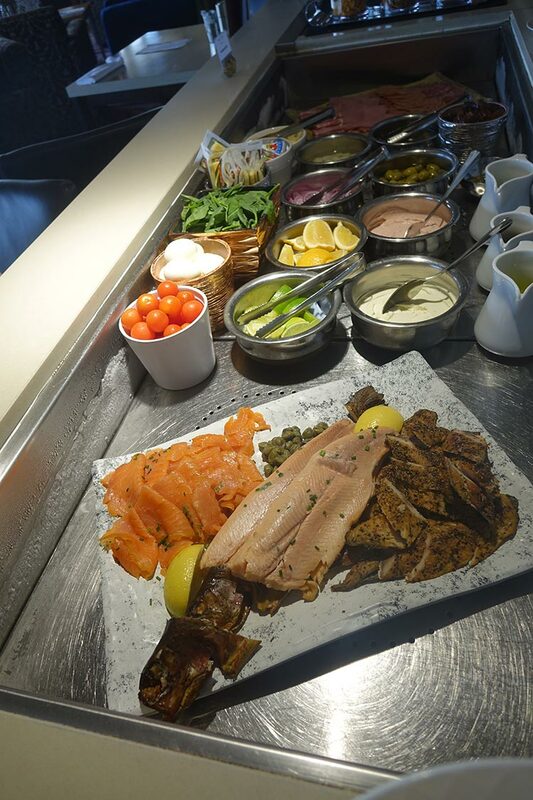 Chef Patrice sources the freshest of produce from specialist butchers, framers and anglers along with seasonal vegetables, fruits, spices and herbs. 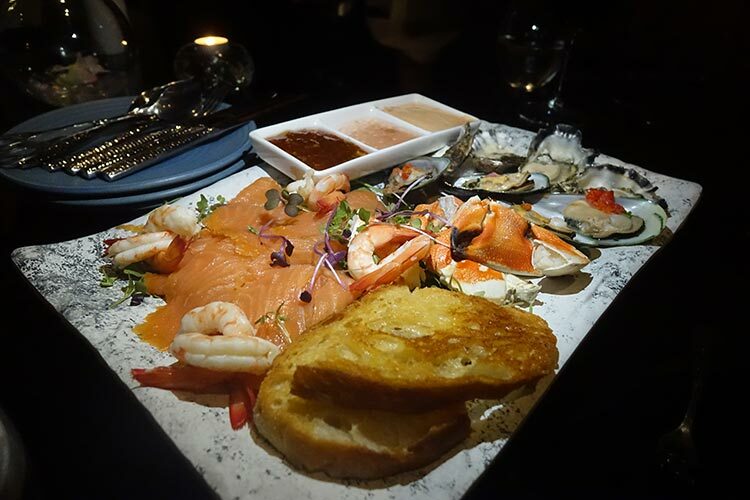 For starters I had a tasty cold seafood platter with garlic mooloolaba king prawns, risoni pasta and seafood bisque. 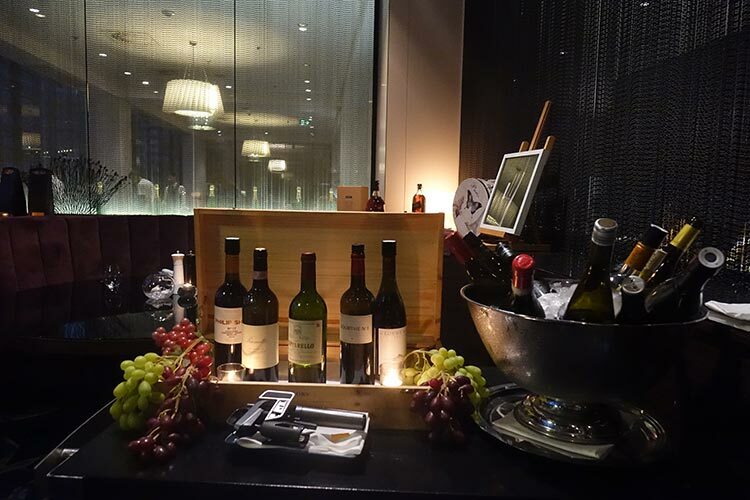 The wine selection was excellent and thanks to Quinten the sommelier I discovered some brilliant vintage wine selections Australia has to offer. 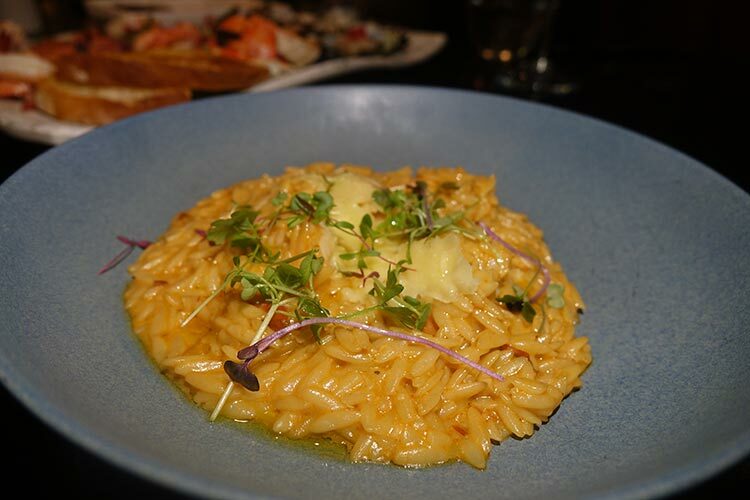 There are specific Australian cuisines that locals can never part with. So the reinventing of the famous Surf and Turf was going to be interesting. 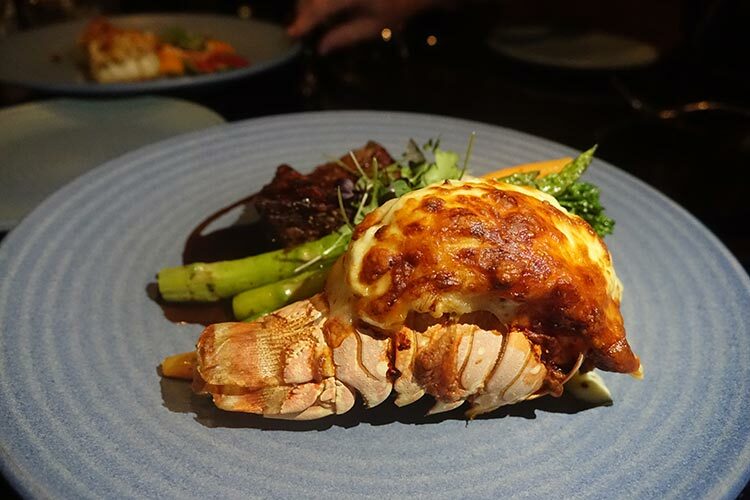 Here it was called the 55 Eye Fillet with an optional local crayfish thermidor, all teamed with seasonal vegetables. According to my friend it was his best Surf and Turf ever. 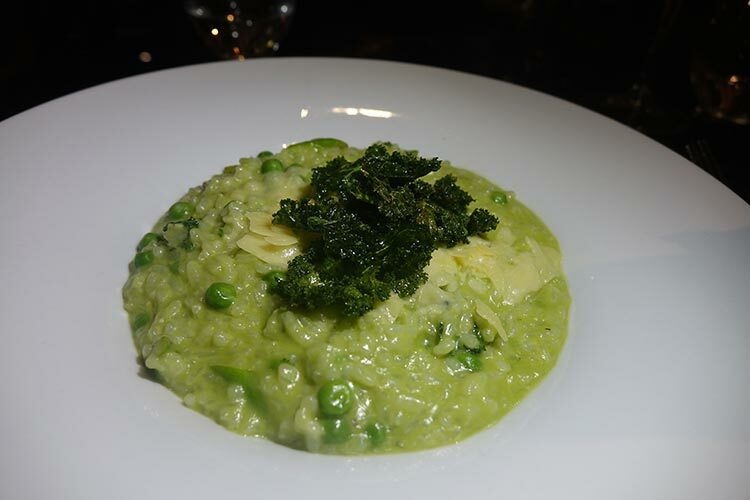 I opted for a summer green risotto with sweet pea, asparagus, kale and aged parmesan, a perfect dish for a filling outcome. 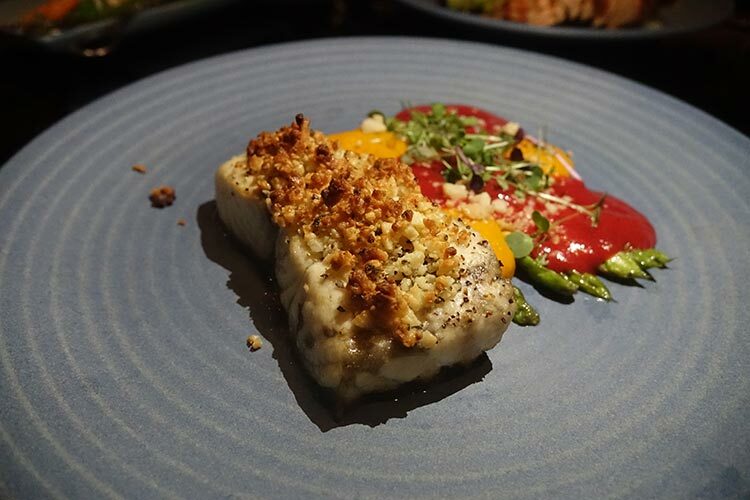 I wanted something truly local and opted for the Barramundi fish with macadamia crust, asparagus, carrot puree and beetroot foam. It was amazing. I often visit France and I love its pastries. 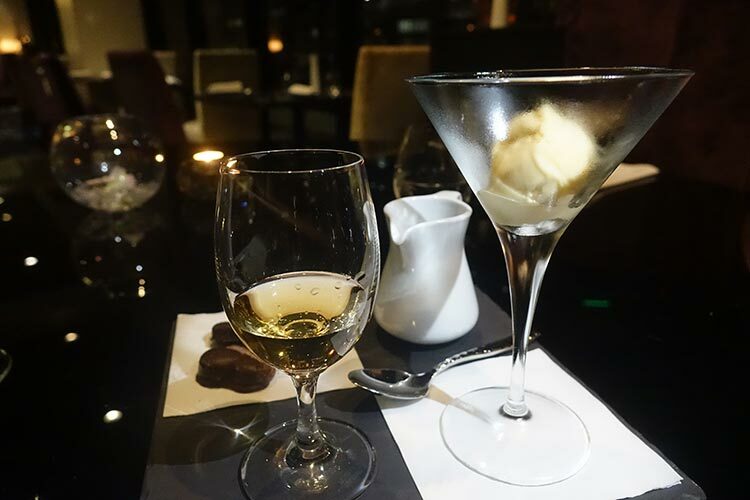 For a sweet finale I had the Prive249 Affogato, espresso coffee, cognac and vanilla sorbet with Frangelico. It was an unforgettable experience. We also had the Peach Au Vin, with speculoos biscuit, moscato ice cream. It was beautifully presented and took me back to my time in Paris. Overall the dishes were the best I had in Australia for many years. It comes to no surprise that Prive249 is very popular with locals too. 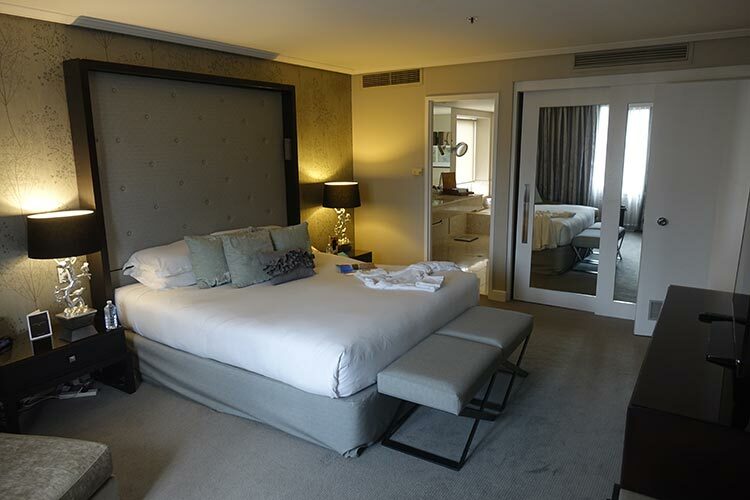 The Junior Suite also offered the exclusive access to the 30th floor Club lounge with a 360 view of Brisbane. 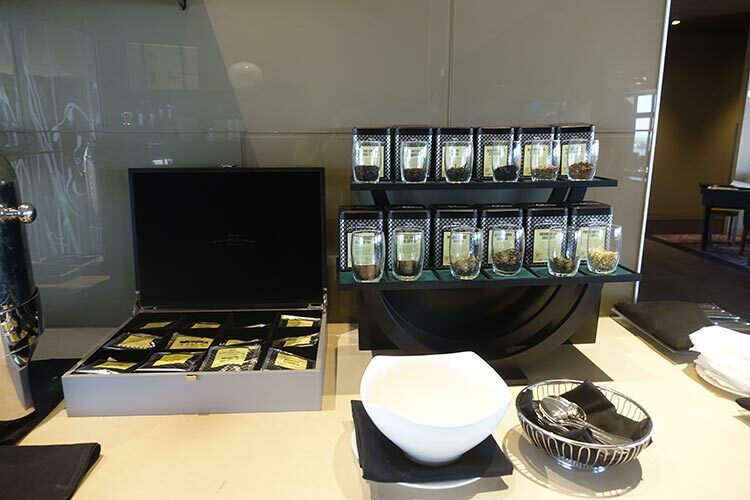 This allowed me to delve into complimentary evening drinks and healthy canapes during my stay. There was also the express check-in and out and a dedicated Club Concierge to assist with services. For business there were Apple IMAC workstations and the lounge comes with fast wireless connectivity. 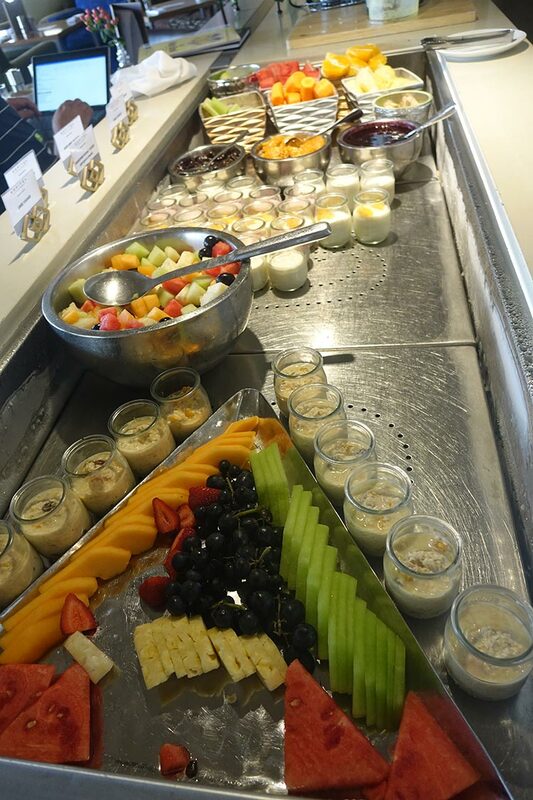 I used the Club lounge for breakfast and there were plenty of fresh and healthy options from the buffet. The option to create your own fresh fruit juices was very unusual and they were delicious. There were also plenty of hot cooked dishes. The eggs, avocado and lamb sausages were yummy. 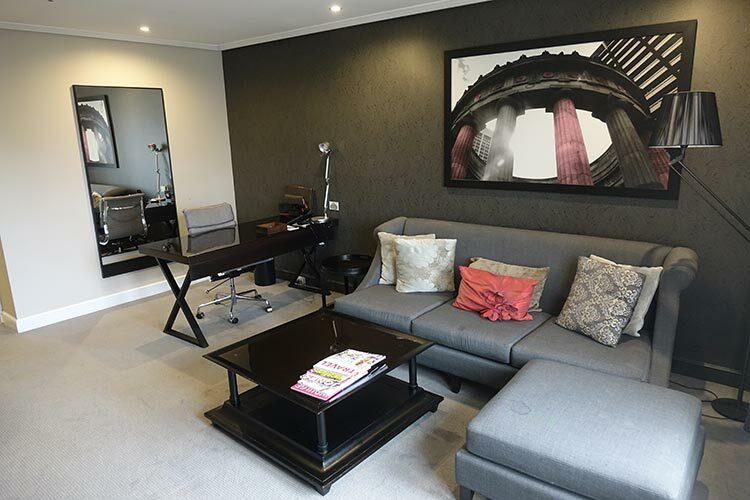 Sofit Gym is located on the hotel’s 30th floor adjacent to the Sofitel Club Lounge. The gym offers panoramic city views. 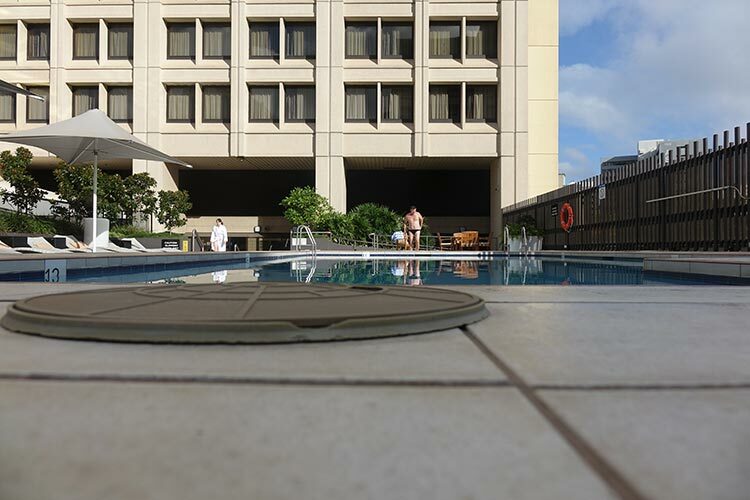 Located on level 3 of the hotel is the heated outdoor pool with Jacuzzi. Additional Spa services are also available on this level. 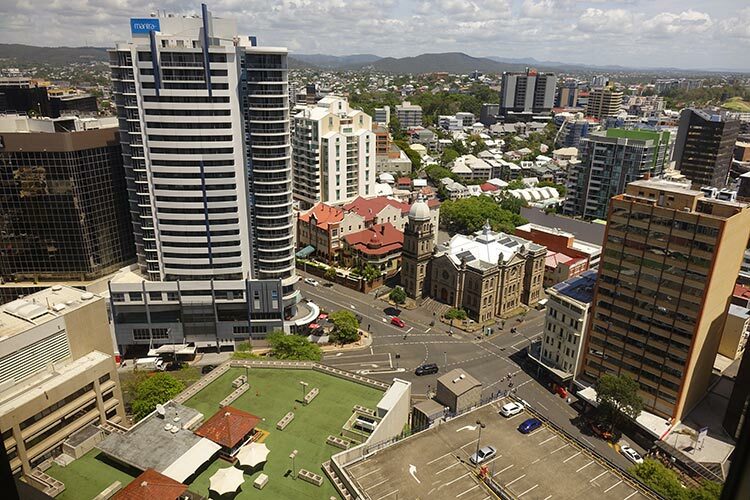 Brisbane is a city overflowing with amazing quality accomodation and dining options. The choice can be overwhelming, but some properties just keep shining through. One such beacon is the Sofitel Brisbane Central. 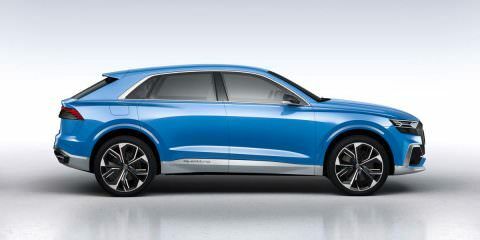 It is the perfect fusion of what Australia and France have to offer. Thank you for an amazing stay.